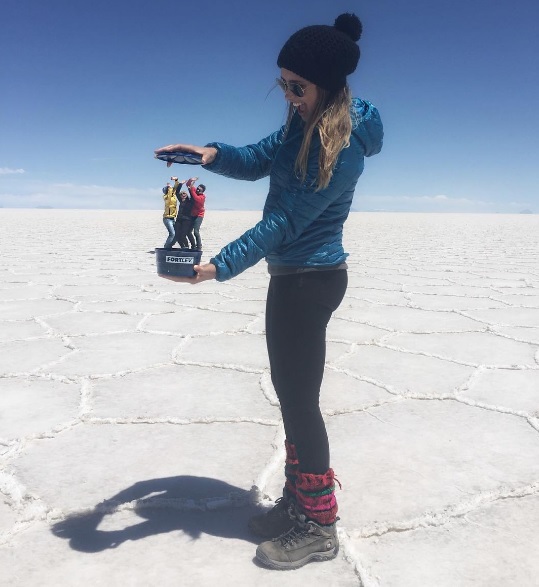 Are you planning a trip to the amazing Uyuni salt flats and wondering what would be the weather like when you get there or would you like to know the best time/season to visit Uyuni? You can visit the salar de Uyuni any time of the year, our Uyuni tours run all year-round with some differences in the program. Due to the weather and road conditions some routes and hotel reservations can be changed. For instance during the rainy season (December – May) parts of the Salar are likely to be covered with water. It’s still possible to do the trip, to visit the Salar, but with water on the Salar you cannot cross it for hours like in the dry season. With water on the Salar you cannot get to Isla Incahuasi / Fish Island. Also the Tayka Salt Hotel in Tahua can often not be reached therefore we will either use the salt hotel Luna Salada, Palacio de Sal, Cristal Samana or the Tayka Stone Hotel instead. Other places that cannot be visited during the rainy season sometimes are Cueva de las Galaxias , Momias de Coqueza and Chantani, but notice that these last places are considered to be minor attractions in the area. This also applies for our stargazing tours. You have to keep in mind that driving at night on the salt flats requires extra work, when it is dark it becomes more difficult to navigate the terrain. Having a breakdown at night is very risky, the temperatures can quickly drop down to -17ºC. For your own safety during the rainy season (December-April/May) we only drive within a 20 km radius from Colchani. The big plus when visiting the Uyuni salt flats during the wet/rainy season is that the salt flats are covered with a thin layer of water ( a few cm). The flat surface (so flat that the variance in height from any single point to another is less than a meter) forms an incredible big “mirror” with a strong reflection, making it ideal for calibrating the distance measurement equipment of satellites! Take a look at images of Salar de Uyuni taken from the International Space Station ISS or read more about salar de Uyuni in wikipedia. Especially during January and February the salt flats are most likely flooded producing the famed “mirror effect”. Imaging an inmense mirror reflecting whether the starry night sky or the deep blue and all the changing colors of the sky during the day from sunrise until sunset, just right there where you are standing, on the surface of the planet’s largest salt flats. 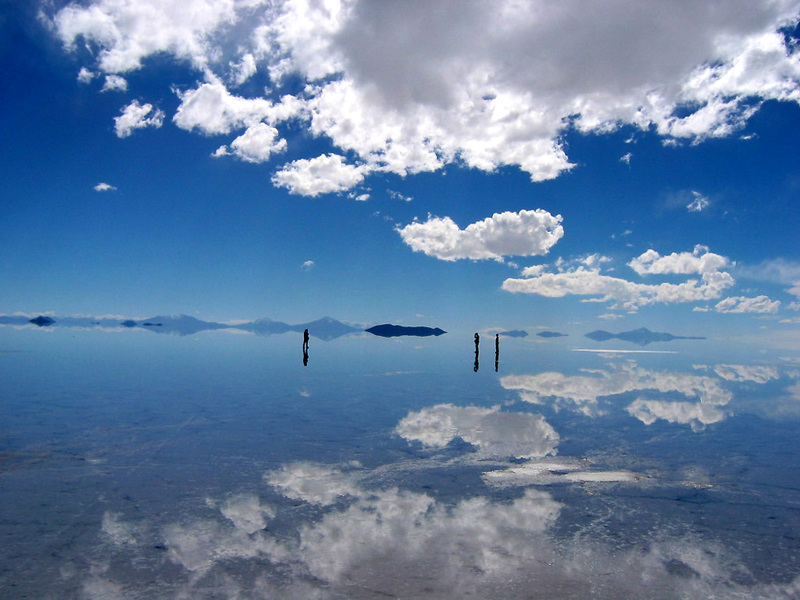 The out-of-this-world visual effect is exactly what many visitors are looking for when travelling to Uyuni. If dry weather is what you’re after, the months with the lowest chance of rain in Uyuni are June, July, and then August. The dry season is the best in terms of being able to move easily around the country (this applies actually not only to Uyuni but to other destinations in the rest of the country), almost all dirt roads will be accessible. 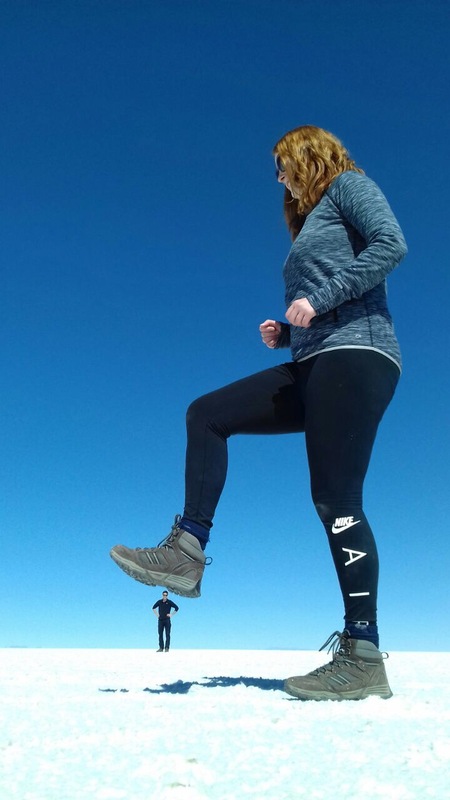 It is winter time though, so you will have access to all the attractions but be prepared for very cold nights with temperatures below freezing point (-15ºC) in Uyuni. Is that a reason to stay indoors? Not necessarily, check our stargazing tours! If you are taking a tour to the Uyuni salt flats from San Pedro de Atacama (Chile) during winter time (roughly but not exclusively May to August) there is a chance of snowfall and ice in the area. When this happens the Bolivian-Chilean border at Hito Cajon is often shut down, sometimes for a few days in a row. During the winter months there is a small chance of this happening. If this is the case during your trip we have to use another border crossing far more north, near Ollague. So, when to go? 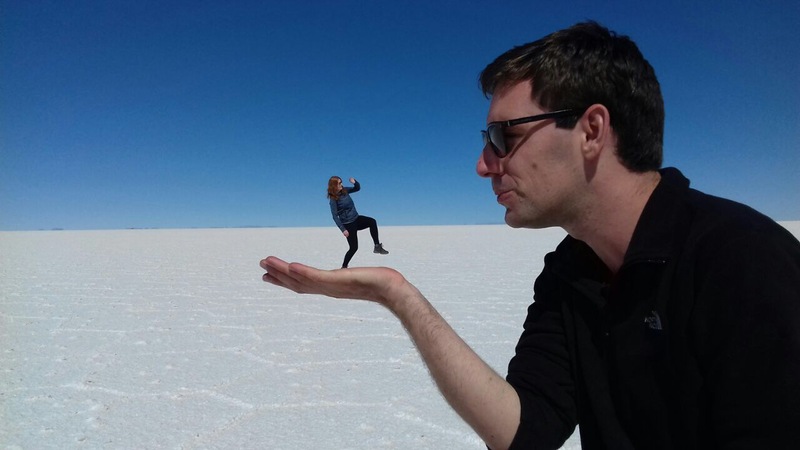 What is the best time to visit the Uyuni salt flats? You should better answer to the following question: what is the best time for you according to your plans and expectations? If you have the flexibility to choose when to go, then the “when” basically depends on whether you want to capture the “mirror effect” during the rainy season or see the hexagon-shaped terrain of the salar and create the most amazing perspectieve photos during the dry season. 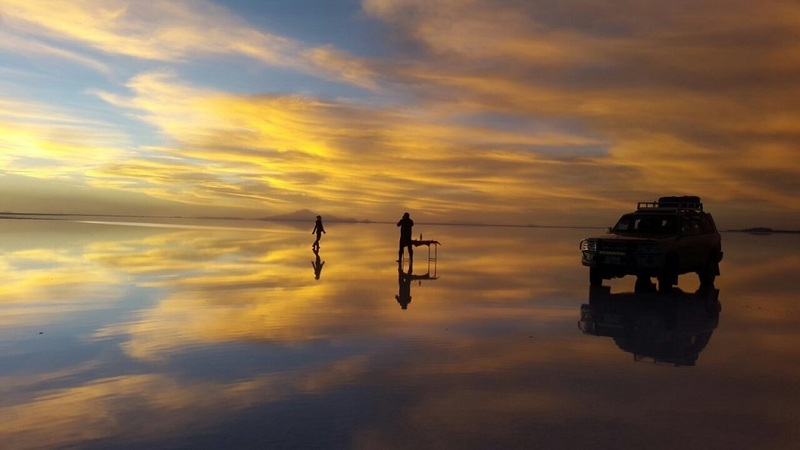 Regardless of when you visit Uyuni, the scenery is simply beautiful and breathtaking and it will get you inspired. You can have fun and get creative in photos with the vast, flat expanse of the landscape all year round, it does not matter if the salt flats are dry or flooded. 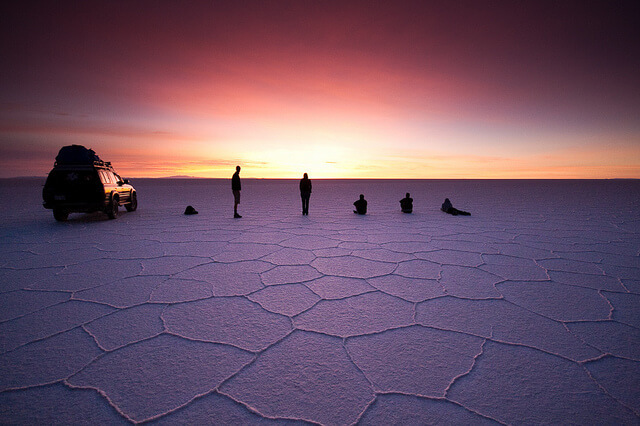 Check our complete range of Uyuni salt flats tours.